Hold on to your hat, for you are about to take a thrill-a-minute rollercoaster ride through the untrammelled imagination of Jacopo Costa and friends. Calling at all stations, from doo-wop through pop, Euro-folk, classic RIO moves, and on eighth track Lockjaw (A Militant DOG) we find that said canine really is Zep’s pooch, as hinted at in the title of the second track BLACK (and Green and Red). No, really…but don’t be fooled by that into thinking this album is littered with trad-rockisms, oh no siree. Also taking cues from early Zappa cut’n’paste ups, this album is nigh on incomparable. If pushed I could say that Loomings are Henry Cow on steroids conducted by Uncle Frank…oh, I just did. Anyway, Everyday Mythology certainly fits snugly into an avant rock glove, but there is so much going on here you will not be able to take it all in with only a cursory listen. Central to the album are the complex vocal patterns of Maria Denami, Ludmila Schwartzwalder, and Benoît Rameau, apparent from the very start of the utterly strange Keywords, which commences as if the voices have been recorded underwater. The song itself is a cynical treatise on the triumph of dishonesty, with reference to Goebbels; heavy stuff, but performed in an almost frantic and zany fashion, thus lessening the load. Jacopo also contributes his voice occasionally, but the three singers in full flight form a RIO anti-choir, not so much singing in the round, but singing in the rhombus. The Zappa influence continues in the lyric to the more sensibly paced BLACK (and Green and Red) which details the delights of “Big leg Emma, she was my steady date, used to knock me out”. The tune slows to a three note bass line, glockenspiel and gentle background from the anti-choir, avant rock becalmed in the deep cosmos. Those first two tracks hint at the massive scope of this enthralling album, which contains some of the best avant rock to pass through my hi-fi in the last year. In A Black Key adds electronica to the heady percussive mix, and is a strange tale of regretful nostalgia that in a normal universe might even be described as a blues. Here though, it is anything but, however the atmosphere is created blue, nonetheless. Another bafflingly complex vocal performance wins the day over the marvellous sonic stew beneath it. So far, so avant, but things begin to take an unexpected course with the appropriately titled The Things That Change, a quietly considered piece of songcraft depicting the cyclical nature of infinite development. At one point this thing almost swings, in the strangest possible manner, natch, but not for long as it builds to a brassy climax. This is followed by the lyrically world weary Sweet Sixteen, which is actually a doo-wop ballad, thereby giving another nod to Zappa. It made me “LOL” – as the kids say – the first time I heard it. There’s even a classic sax solo in there for good measure, followed by an operatic warble from one of the singers in the oddest middle eight (it’s probably thirteen and a half knowing this lot!) I have heard in many a moon. Marvellous stuff! Band leader Jacopo Costa is a familiar name to those of us willingly cast adrift in the wobbly AltrOck universe, having played with Yugen, Camembert, Factor Burzaco and Empty Days from the label. 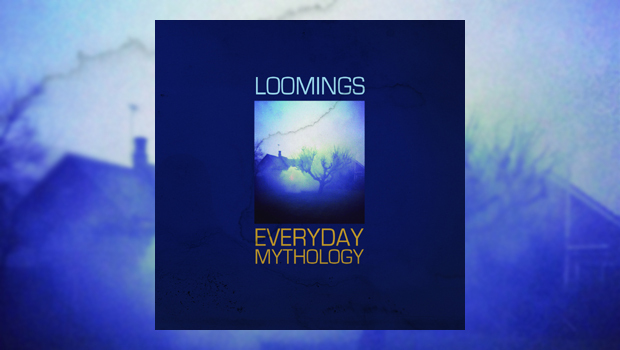 He formed Loomings in 2012, and by joining three classically trained singers to a musical backbone rooted in jazz and avant rock has created this nigh on incomparable band, who produce the most delightfully unexpected twists and turns away from what might be termed the usual avant rock path. …And… is musically deceptively gentle, but lyrically apocalyptic. This leads into another “smile” moment, via the cheeky and ever more explicit references to Led Zeppelin’s Black Dog in the strident Lockjaw (A Militant DOG). This is a tune whose minimalist lyrics are open to interpretation: “Are you that dog, the giant sad bulldog, looming in the mist”, as the operatic and instrumental rendering of Zep’s famous tune’s top line melody becomes slowly more obvious as the piece progresses, resulting in a wry smile from this listener. After a tale of environmental woe, and a wordy cut’n’paste game of “nonsense”, we arrive at the final track. The eerily atmospheric and atypically instrumental Milano is not the most obvious way to end an album, but one should expect no less by now. Perhaps a backhanded compliment to Pink Floyd’s use of the Anfield unwashed on Fearless, the track appears to contain heavily treated samples of football crowds singing. AC or Inter, I wonder? Probably my favourite avant rock album of the year has taken me some time to wax lyrical about, and this review may not even see the light of day until 2016, but it sure is worth your time if you are into taking the left fork along the road less travelled.